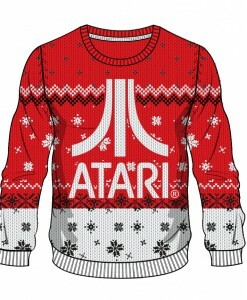 How about adding a retro vibe this season with an iconic Atari Christmas jumper? Wrap up in one these warm woolly jumpers and get into the holiday spirit! Insert a cartridge and fire up one of those retro games. Will it be Missile Command or Centipede? Whatever your choice, grab a mulled wine and relax!